With (at the time) 44 fighters in the men’s division and 36 fighters in the women’s division, this EC Open weight turns up to be the greatest up to now! Also when we take a look at who will fight, there is no doubt that the level of this EC will be among the highest. The strongest profiles are in, and many have shown their skills across organizations all over the world. That said, with all the tournaments/organizations that are been organized, one do have to admit that being a European Champion do not mean the “same”, because the level are very various form one EC to an another. In other words, one do have to take a look behind the results. The men’s division are packed with high-class fighters! And it is also a good spread across the weight, that mean we are looking forward to see many match-ups that we not are used to see during the weight categories EC. An unlimited number of practitioners, it’s an exaggeration – but some of the bigger nations brings in teams with 5-6 top fighters. This weights pulls in both directions because you get a very unbalanced line up. 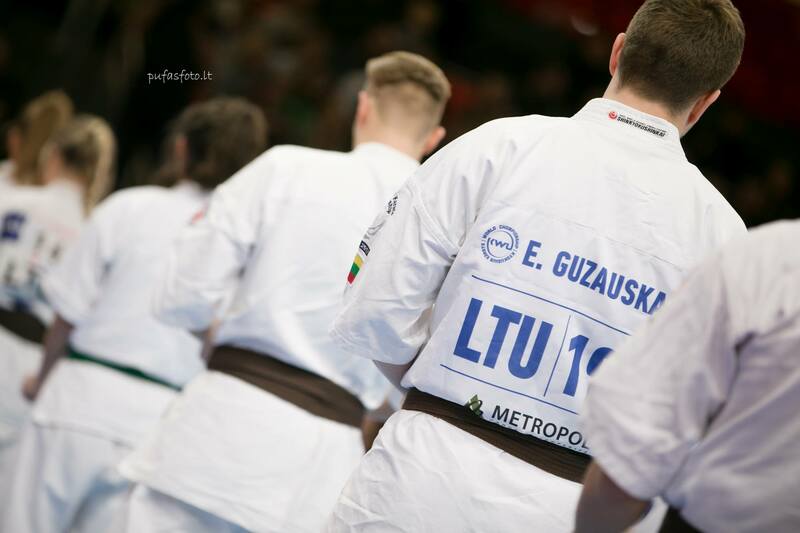 Looking at the women’s division, it looks more like “Lithuanian Open” One should be glad that the smaller nations still want to participate, for many can look at this as meaningless when one nation can have 1/3 of the total number. The good thing about it is that the level is are ridiculously high! From the official website: Limit is 2 participants per country in each category, country organizer has one extra participant in each category. 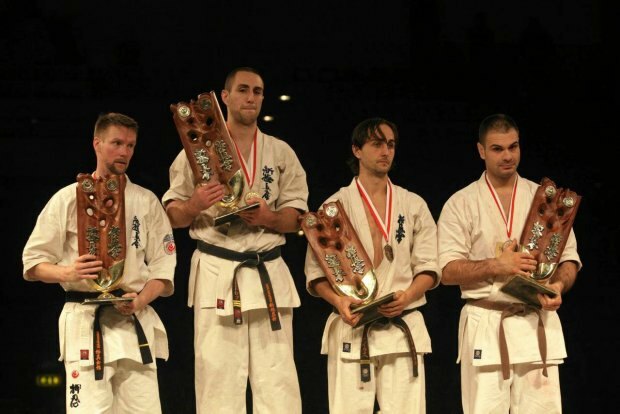 Additionally in open category also can participate all the medal winners of EKO and WKO Adults Championships in weight and open categories. All World and European adult championships medal winners can’t participate in the U-21 championship. ⇒ Picture from Pufasfoto.lt Salahat Hasanov, Azerbaijan. As said 44 fighters from 23 nations makes this a very good starting point. Taking a look into the category, Lithuania, Poland, Bulgaria and Ukraine considers to be main factors, Lithuania, Poland and Ukraine do also have the highest numbers of fighters. We can’t stop thinking of the EC Open Weight in 2014, when Valeri Dimitrov fought his way to the top – and did meet four fighters from the same nation, Lithuania. We do hope that the tournament will give us a wider perspective. That said, there is nations that got “single” fighters that can manage to break trough. And speaking of the 3 times EC Open Weight champion, (2002, 2012 and 2014) Dimitrov did amaze many in EC this spring, looking faster and sharp as ever, defeating the very talented and World Champion Salahat Hasanov, Azerbaijan in the -85 kg category. 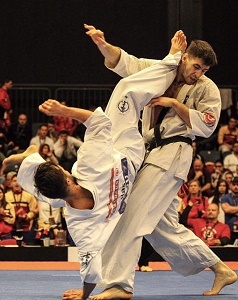 Hasanov on his side kept on with high pace, as he came in on 4th place the week after in the huge 1st WFKO International Tournament in Japan. Fighting in the -85 kg for these two fighters this spring, and now up against possible heavier opponents, could be hard – but both are more then skilled and prepared for that, specially Dimitrov who has been fighting more or less all of them trough many years. The draw will also affect the day, but of course – can Dimitrov reach the podium and maybe his 4th tittle?! Looking further into the line up, and pointing out some really big guns – where to start?! We feel that it would be naturally to list up: Maciej Mazur (PL) Eventas Gužauskas (LT) Anatolii Zhuravel (UA) Edgard Sečinski (LT) Two first of them are reign EC champions in the two heaviest category, Mazur seems incredibly strong at the time, two next er getting closer and closer, Sečinski became the World Champion KWU in 2017 and 4th place in Japan this spring in an even harder tournament, 1st WFKO International Tournament. Zhuravel, young and very promising, reached the 3rd place podium this spring in the EC. But there is so many good fighters, and when the draw are made, some of these can meet each other before the podium, and they can also meet fighters as: Antanas Klibavičius (LT) Kęstutis Radvila (LT) Vytautas Cėpla (LT) Justinas Kvietka (LT) Marek Wolny (PL) Jean-Paul Jacquot (FR) Simon Pålsson (SE) Very demanding fight these gentlemen will give anyone who steps up an the mat on the opposite side. One can’t make this being “only” strong, one must adapt and be able to fight smart. And of course with a 44 fighter category with so many fights against high level competitors, things can happen. In the lighter (weight) part of the tournament, here are also many very good fighters. 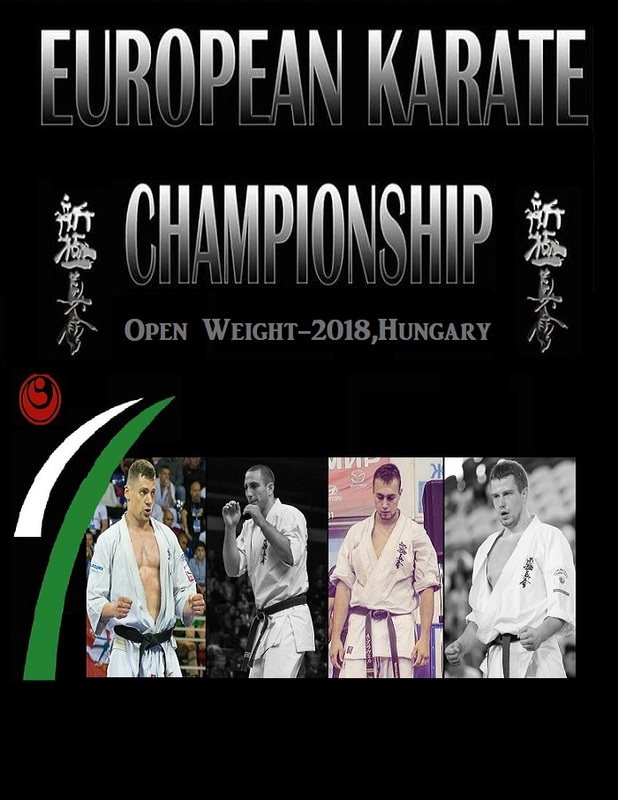 George Suciu (RO) , Konrad Kozubowski PL), Ziyafatalle Milad Samizade (SE) All these are very skilled, and in a regular EC they would be natural top contenders. But how can the stand against the heavier, and much heavier opponents? Could the supreme speed and technique give them the time to reach the weight decision -or take the win before that? And in this – here is where the open-weight aspect are coming to full play, and the tactical side of it. We can only wait as the excitements raises to an unknown level! This entry was posted in Ringside, Tournaments and tagged Eventas Gužauskas, Macej Mazur, Shinkyokushin Europe, Shinkyokushin opeweight, valeri dimitrov by Steffen. Bookmark the permalink.